Thank you to our 2018 Chefs! Pastaria is an approachable Italian concept that draws inspiration from the pasta factories and lively osterias of James Beard Award winning Chef Gerard Craft’s travels to Italy. With a mantra of “La Verità,” Pastaria represents Chef Craft’s dedication to “the truth” of Italian cuisine, celebrating the simplicity and quality of great food. The menu features soups, salads, and appetizers, organic pastas, Neapolitan-style pizzas, wood oven entrées, and gelato as well as other Italian-inspired desserts. Craft describes the restaurant as “town hall” style of dining, a lively atmosphere where all are welcome. We are driven by hospitality, housemade ingredients, and celebrating the simplicity and quality of great Italian food traditions. 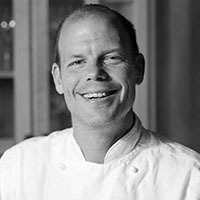 Born in Chicago and raised in Santa Fe, Kevin Nashan spent as much of his childhood in a restaurant as he did in the classroom. For 27 years, his family owned La Tertulia, a beloved Northern New Mexican restaurant started by his Hispanic grandfather in 1972. Throughout his youth, Nashan helped out doing everything from washing dishes to working front of house. After graduating from St. Louis University, he enrolled in the Culinary Institute of America in Hyde Park, New York. This, in turn, led to an internship at Commander’s Palace under Chef Jamie Shannon, introducing him to the fast-paced world of restaurant kitchens, often doing 700 covers or more. After close to a year in Europe, Nashan longed to return to the states and accepted a position at Daniel in New York City. There, Daniel Boulud’s high expectations pushed him to do things beyond what he thought possible. 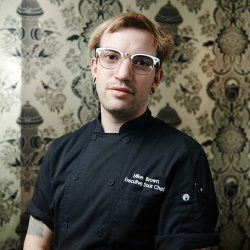 Starting in garde manger, he worked his way through the kitchen, sharing the line with a host of now-notable young chefs such as Alex Lee, Neil Gallagher, Johnny Iuzzini, Chris Lee, and Brad Thompson. In 2002, Nashan returned to his adopted hometown of St. Louis with the intentions of opening a restaurant. He learned that the owners of local standby Sidney Street Café were looking to pass the torch after 16 years in business. Kevin loved the beautiful building and decided, along with his wife Mina, to buy the restaurant in 2003. Nashan seamlessly incorporates his wide variety of culinary experiences and influences into seasonal, locally-sourced creations. His French training shines through his food in dishes like a play on Bouillabaisse with eel and uni or foie gras with olives and citrus, while his time in Spain shows its lasting impact in soulful sofrito-based dishes and the innumerable cured products in the pantry. The New Mexican cuisine of his childhood is also never far from his mind-posole and aji paired with chiles rellenos are favorites to this day-and his love for Southern cuisine is reflected in the form of ingredients like ham hocks, sorghum, and speckled grits. Nashan believes that sourcing locally should be expected, not celebrated, and it doesn’t get much closer to home than the micro greens he grows in the basement or the spring garden occupying 100 yards of the Sidney Street Café parking lot. Nashan has been a semifinalist for the James Beard Award four times, cooked for President Barack Obama, and competed in Cochon 555. When he’s not in the kitchen, you can find him training for triathlons and ironman competitions (he’s done six! ), playing sports, hunting, and being outdoors. He loves enjoying all St. Louis has to offer with his wife Mina and their two sons, Max and Miles. Hailing from a background in fine dining, Chef Mike Johnson launched his culinary career under young Emeril Lagasse before heading north to develop his skills under the expertise of Chicago’s Charlie Trotter and Gabino Sotellino. Johnson then traveled to Paris to train at the prestigious Le Buisson D’Ardent, and served a stint under Belgian Master Chef Daniel Joly in Beaver Creek, Co. before bringing his culinary expertise home to St. Louis. Today, Johnson’s the chef and owner of St Louis’ Sugarfire Smoke House, an award-winning restaurant known for its succulent brisket, pulled pork and ribs, as well as its signature sandwiches and sides that shine light on Johnson’s dynamic capacity. With six locations (and counting), Sugarfire has consistently been ranked best barbecue in St. Louis and Johnson continues to establish himself as culinary master and renowned competitor, placing 1st in the 2015 Memphis in May World Championship (seafood), 3rd in the 2014 Memphis in May World Championship (poultry), and most recently, 3rd in the 2015 World Food Championship (bacon). Furthermore, Chef Mike is thrilled to see his latest venture Hi-Pointe Drive In come to fruition as his passion pursuit of burgers. 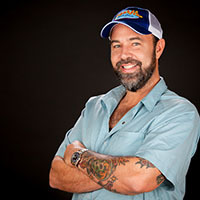 Chef Mike has been featured on a variety of national television shows, including Food Network’s BBQ, Brews & ‘Que (feat. Michael Symon), Destination America’s BBQ Pitmasters, and Food Network’s Beat Bobby Flay! Keep up with Chef Mike Johnson on Twitter! Qui’s mother, Lee Tran, started Mai Lee, the first Vietnamese restaurant in St. Louis, 1985. Qui grew up in the family business doing everything from handing out flyers on the street to washing dishes, eventually serving and managing the front of the house. When the restaurant moved locations in 2010, Qui took on an even larger role, becoming the “face” of Mai Lee. It is still Mom’s vision and she is the executive chef, working six days a week, but Qui focuses not only on the business side and management of the day-to-day, but his passion and dedication to hospitality has helped turn Mai Lee into a destination not only known for its amazing food, but also it’s warm and welcoming atmosphere and service. 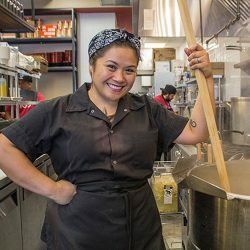 Last year, Qui opened up Nudo House in Creve Coeur, with chef and business partner Marie-Anne Velasco. Nudo is best known for its ramen, but the menu also includes pho, appetizers, and other chef-inspired small plates. 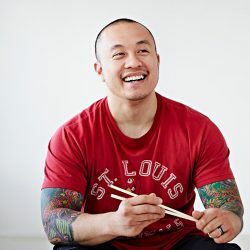 Along with his drive for his own restaurants, Qui is a champion of the St. Louis dining scene as a whole. He is committed to constantly supporting the immense talent of the local food and beverage community. A former Canadian Culinary Olympian, Chef Marie-Anne Velasco spent more than 15 years working in the fine dining scene of Chicago, as well as the kitchens of St. Louis’ Ritz Carlton and Chase Park Plaza. She also served as an instructor and program chair for Le Cordon Bleu culinary school. Along with her breadth of experience and knowledge, her and Qui Tran’s shared passion of noodle perfection (and seemingly endless appetites) led them to become fast friends and now partners in Nudo House, which opened last year. Ramen and pho are the primary focuses, but the menu also contains appetizers, salads, sides, and a constantly rotating specials board filled with seasonal, chef-driven creations. Velasco has also gained a following for her near-weekly rotation of out-of-the-box, house made flavors of soft serve ice cream. I 1st gained my passion for the culinary world when I was 18 years old working at The Mansion at Lakepoint. I worked under Chef Craig Bassler. Since then, I have expanded this passion to become knowledgeable in all aspects of the many styles both American and international. I enjoy creating anything from your downhome southern style biscuits and gravy, to my more creative dishes like a mushroom strudel with a veal demi gloss or an apricot cayenne lamb chop with a tomato mint ragu. It doesn’t matter the dish, as long as I can continue to expand on my creative ingenuity, I am going to be happy. Operating a popular food truck-turned fast casual restaurant, Seoul Taco founder David Choi has always valued the sense of community that a restaurant or food vendor can create as much as making great, authentic food. “Just seeing the way our truck became a fixture of a neighborhood, I want any place that we open to have that real sense of community around it,” he says. 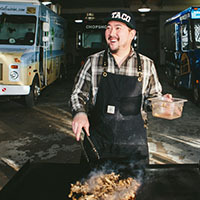 Since launching his Korean-Mexican fusion truck in 2011, Choi has opened brick-and-mortar Seoul Taco locations in St. Louis, Columbia, Mo., Champaign, Ill., and most recently Chicago. With a focus on neighborhoods with large student and young-professional populations, he hopes the affordable, fun menu of fusion tacos, burritos, nachos and gogi bowls will resonate. Seoul Taco is Choi’s first foray into the restaurant business, but he’s always had a passion for food. Before rolling out the food truck, he worked a series of odd jobs—up to three at a time—at pizza shops and fast food restaurants, as a barista at Starbucks, car wash manager and a valet attendant. He got a taste for feeding a crowd while volunteering at a church in Naperville, Ill., cooking for some 500 high school students at a time. Though he didn’t attend culinary school, Choi grew up in a home where food and cooking were at the epicenter. There, three generations of Korean-Americans would battle it out over whose Korean BBQ beef was superior. But Choi also learned a lot in that highly competitive kitchen. 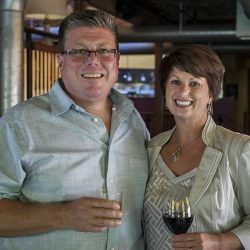 Paul and Wendy Hamilton first considered the idea of opening their own restaurant while Paul was directing food and hotel operations for Clipper Cruise Line and Wendy was heading up the marketing department for South Side National Bank. Paul graduated from Penn State University with a BS in Hotel & Restaurant Management and had managed several independent restaurants as well as food & beverage operations at Walt Disney World in Florida. 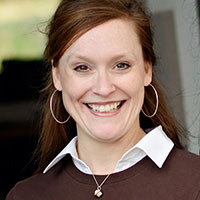 Wendy graduated from Missouri State University with a marketing degree and had previously worked in the hospitality industry for several years. In 2003 the couple opened their first restaurant Eleven Eleven Mississippi (the street address), in what was originally a burned out 90 year old warehouse. It was an instant success and was the beginning of what has turned out to be a thriving multi-concept restaurant group known as Hamilton Hospitality. In 2006 they opened their second and third businesses. Moulin, an events and meeting facility, and a French rooftop restaurant named Vin de Set. Moulin has grown over the years and currently comprises 27,000 square feet of space utilizing seven private rooms all with a slightly different feel from one another. Vin de Set, which was the first rooftop restaurant and bar in St. Louis, has one of the best views the city has to offer. In 2008 the couple opened Grand Petite Market a wine and culinary shop. Two years later they opened PW Pizza an upscale full service pizza restaurant and a few years after that they followed up with 21st Street Brewers bar which focuses mainly on locally brewed craft beers. Paul and Wendy have a knack for recognizing the potential of neglected historic city buildings and have turned what most consider teardowns into some of the most uniquely designed restaurants in St. Louis. All of their properties are located in or adjacent to the historic Lafayette Square neighborhood and they personally do much of the design and finish work themselves. The attention to detail and the overall warmth they convey on each project is immediately evident when you walk through the door. Over the years Paul, who grew up on a farm in Pennsylvania, has started to grow as much produce as possible for the restaurants on a nearby urban farm. Recently he installed a commercial aeroponic tower greenhouse between two of the locations as well as bee hives and fruit trees. They also roost chickens and utilize the farm fresh eggs in their operations. All of this activity operates under the name Hamilton Farms. The Hamilton’s partnered with Charleville Brewing Co. and longtime Director of Operations Jason Arnold to open Charleville Brewing Co. & Tavern. All the beer will be brewed on site and the vast majority of all the vegetables on the menu will come from the greenhouse or urban farm. The Hamilton’s latest venture will be Hamilton’s Urban Steakhouse and Bourbon Bar where tradition, hospitality and innovation come together to create an intimate urban steakhouse and bourbon bar. Serving only 100% Heritage Breed Black Angus Midwest beef and produce from the restaurants own on site hydroponic greenhouse allows us to offer an unparalleled farm to table experience in the heart of Downtown St. Louis. 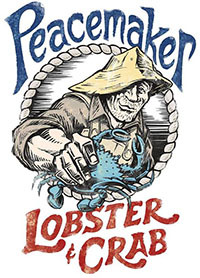 The restaurant menu offers a variety of wet and dry aged steaks as well as pork, lamb and veal chops along with non- steak options to include whole crab stuffed lobster. 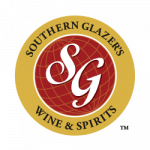 The bar has an extensive list of bourbon, whiskey and scotch as well as an impressive list of American award-winning wines. The interior design capitalizes on the exposed brick and timber of the historic space while paying homage to natural wood elements and vintage decor hand crafted by the proprietors. Over the last fourteen years all of their businesses have been recognized in some way as being the best at what they do. Eleven Eleven and Vin de Set are recognized throughout the St. Louis region for delivering exceptional service and innovative cuisine. Accolades include Zagat’s “America’s Top Restaurants”, “Best New Restaurant”, “Best Overall Restaurant”, “Favorite Business Lunch”, “Favorite Service Staff”, “Favorite Outdoor Dining” and “Best Brunch”. The wine lists have been recognized by Wine Spectator earning the “Award of Excellence” and the Wine Enthusiast with their “Award of Distinction” every year since opening. Moulin is a recipient of the “Best of the Knot” and numerous Meeting Professional International awards. In addition PW Pizza is recognized as one of the “Best Pizza Restaurants” and 21st Street Brewers Bar has the distinction of being one of the “Best Beer Bars.” The Hamilton’s as a couple were honored as “Restaurateurs of The Year” by the Missouri Chapter of the National Restaurant Association in 2012. 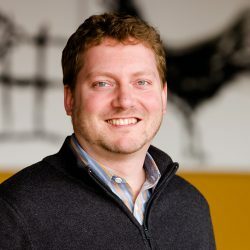 Mike Brown is the General Manager of Small Batch, as well as an Executive Sous Chef for Baileys’ Restaurants. 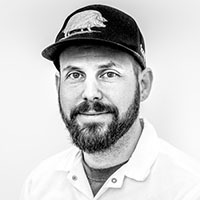 Mike has a passion for cuisine from all over the world, sustainable/responsible restaurant practices and pushing the boundaries on how ingredients can be utilized in dishes. He has 10 years in the restaurant industry with 8 of those years being in hospitality management. Max Crask has been in kitchens since getting his work permit at age 15 ½. 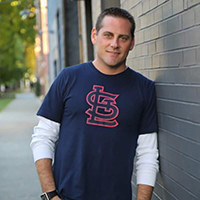 From his first job at Kreiger’s Sports Bar, to Monarch as Josh Galiano’s Chef de Partie, Executive Chef of Eddie Neal’s Dubliner and then as Executive Chef/Owner of St. Louis’ first Belgian restaurant, Tripel, he has built up experience in every working detail of the kitchen. His interest in molecular gastronomy took him to study with Chef Herve This at the University of Reims Champagne-Ardenne, earning a Diplome Universitaire du Gout de la Gastronomieet des Arts de la Table, and certification from Le Cordon Bleu Paris. His knowledge of food science took a whimsical turn when he decided to apply it to ice cream. 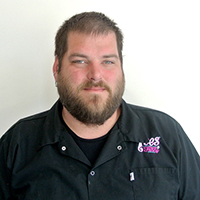 He opened St. Louis’s first Nitro Ice Cream Parlor, Ices Plain & Fancy, in July of 2014. Named for an ice cream cookbook by Victorian nitro-ice cream inventor and chef Mrs. Agnes Marshall, Ices Plain & Fancy keeps to ideals both Max and Mrs. Marshall share – when making food whether plain or fancy, make it with the finest ingredients available, and use the best techniques available, whether they are traditional or ultra-modern. Bridging dualist concepts like invention and tradition, plain and fancy is a specialty of Max’s. His ice creams can be inventive, such as a Chicago Mix with Anti-Fried Popcorn, Southern Hot Chicken, or Blue Cheese Lychee Pistachio – but he doesn’t ignore the importance of nostalgia to ice cream lovers. Max maintains a classic menu alongside the wilder specials, full of beautifully balanced Butter Pecans, Rocky Roads, and a Mint Chip that is a seven-year-old’s dream come true. In some of his finest creations, the worlds of tradition and invention meet, such as the winter seasonal fan favorite Campfire S’Mores, a toasted-marshmallow, Hershey square and graham cracker ice cream concoction that brings a transporting whisp of campfire smoke to every patron. The Cup is not just the fulfillment of a dream, it is the culmination of a life’s work. Owner Ericka Frank’s love for baking started at the age of 12, when she baked and decorated a birthday cake for her “momma.” Ericka has been delighting friends and family with her creations ever since. Her passion for all things culinary led her to a master’s degree in dietetics and, while the transition from nutrition to buttercream may seem like quite a stretch, cupcake fans everywhere are glad she took the leap. Ericka opened her first bakery, The Cakery, in St. Louis’ Dogtown area in March of 2005, and soon after, The Cup opened as St. Louis, Missouri’s first gourmet cupcake bakery in 2007. From the initial launch of The Cup in the Central West End, this beloved cupcakery has been providing award-winning cupcakes and other sweet treats to the area’s most discriminating dessert fans. Now with two stores (St. Louis, MO and Edwardsville, IL), their classic cupcake flavor combinations and famous made-from-scratch buttercream are captivating more sweets enthusiasts than ever. Consider this your invitation to Rediscover Your Sweet Tooth. 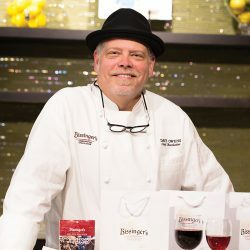 Bissinger’s Chief Chocolatier and VP of Taste, Dave Owens, joined the company in 2007 to carry on its legacy of creating some of the finest chocolate confections in the world. Growing up in a family where meals were enjoyed – and always homemade ignited Dave’s interest in creating delicious, authentically-crafted foods. This passion drew Dave to Bissinger’s and inspired him to become part of its rich story, contributing to a heritage built over the past 350 years. Dave’s experience as a chef and partner in two of St Louis’ most celebrated restaurants and nearly 35 years in the industry enabled him to approach the position uniquely. With the mind of a culinary chef, he expertly combines timeless techniques with inventive recipes that excite the senses. Dave develops new confections much like he would a dish at a restaurant, incorporating flavors and layers that work together beautifully and naturally. His confectionery innovations have yielded numerous awards for Bissinger’s, including four SOFIs from the National Association for the Specialty Food Trade: three in the category of Outstanding Confection and one in the category of Outstanding Chocolate. As a longtime vegetarian with a passion for natural foods and sustainable practices, he has a deep respect for integrity of ingredients and creating confections that customers didn’t know they couldn’t live without – presenting the perfect confection for the moment.